During 1963-1978 the governments and the top universities of Chile and California undertook three programs of binational development assistance and cooperation. The programs built on a long historical relationship between the two regions, marked by their striking similarities in physical geography and natural resources, despite being 1000s of miles apart on opposite sides of the Equator. The first program was for technical development assistance to Chile in the framework of the Alliance for Progress, and involved the three governments of Chile, California, and the United States. 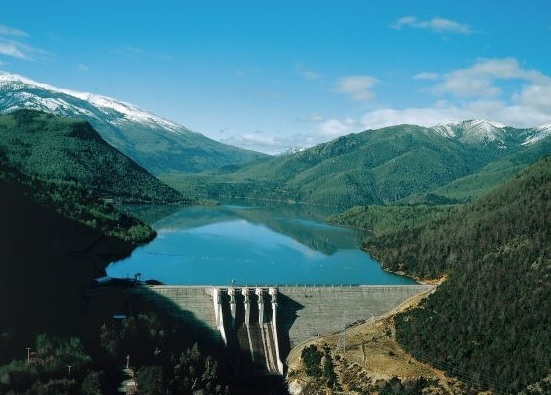 Water resources and river basin development planning were a primary emphasis, and led to building Chile’s largest dual-purpose reservoir (Colbún). The second program was for graduate-level academic exchange and involved the two leading public university systems, the University of Chile and the University of California. This comprehensive program was funded for more than a decade by the Ford Foundation, with agriculture, natural sciences, and engineering the dominant fields. The third program was a separate effort to reform Chilean legal education, led by Stanford Law School and funded by the Ford Foundation. This Chile Law Program was a leading international example of the “law and development” movement in the 1960s, which overlapped closely with the early years of the “law and society” movement in the U.S. Both university and law school programs ended after the Chilean military coup in 1973. What were the impacts of these programs on water, law, and society in both Chile and California? What lessons can we learn today from those historical experiences? We answer these questions with an historical overview and synthesis of diverse documents and evidence. In focusing on water, law, and society, we aim to contribute to the interdisciplinary synthesis of different fields of development studies. In the realm of water law and policy, however, neither of the two academic programs had any noticeable impact on water law and policy in Chile. Neither program focused on the 1967 Agrarian Reform Law and its Water Code. It seems safe to say that the Chile/California programs had no impact on water issues in California, although they surely broadened the minds and perhaps the careers of the individual Californians involved. The military regime rejected California’s approach of strong government water agencies in favor of the Chicago Boys’ vision of the free market in the 1981 Water Code. Since then, the river basin approach to water policy has been dormant in Chile, despite frequent rhetorical invocation, because of the wide scope of private property rights to water. Both Chile and California have become international symbols of water management, but they represent contrasting approaches to water markets, government regulation, and environmental protection (Bauer, 2010).